This morning I'm so excited to have the lovely Mandi here, sharing this awesome holiday DIY project with all of us. I really enjoy Mandi's blog, and I find a lot of inspiration in her amazing outfits and completely adorable clothing. Her blog is such a creative, magical place, and I hope all of you pop over and say hello if you don't already follow her. 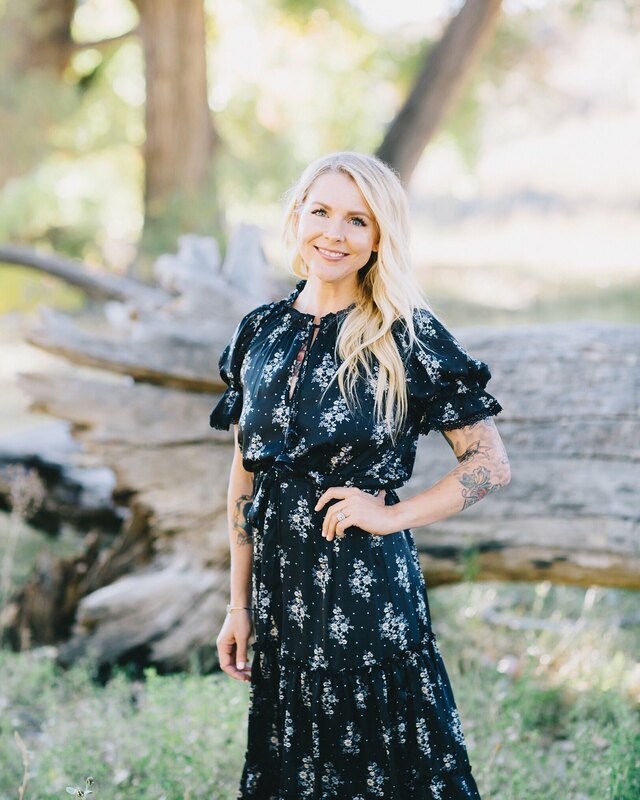 Prepare to be dazzled by all of the inspiring tidbits she shares, from outfit posts to DIYs, glimpses into her life through photos and words, and the ever popular (and my personal favorite) "Movie Monday" posts. Thank you Mandi for being a part of Sometimes Sweet today! Hi friends! This is Mandi from Here's Looking at Me, Kid, delightfully filling in for Danielle today. I thought it would be nice, with the holidays here, to do a DIY project that is quick, easy, and definitely useful this time of year! 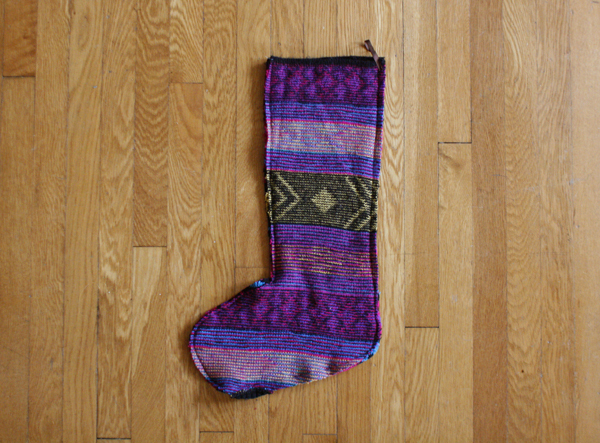 Making your own stockings is an awesome (and cheap!) 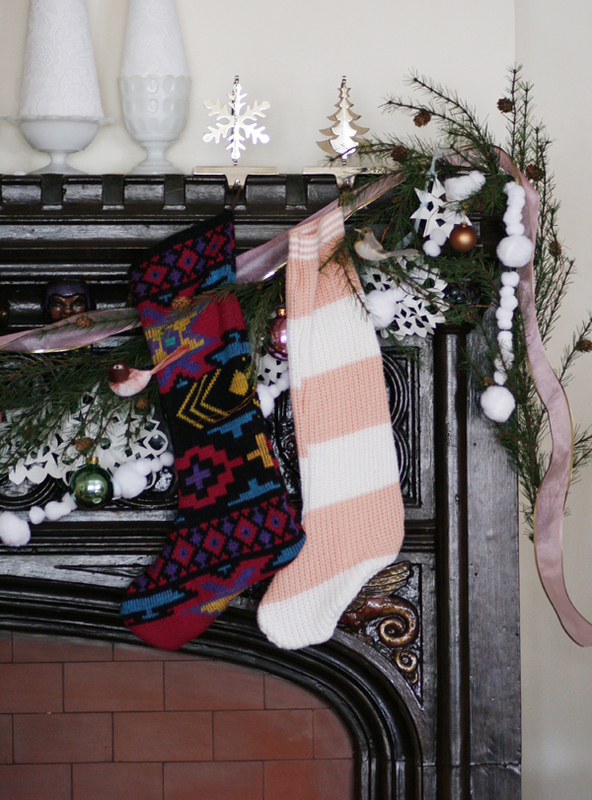 way to personalize your holiday mantle. 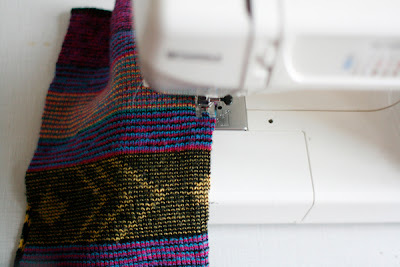 All you need for this project is a sheet of posterboard, a marker, scissors, some ribbon or string, needle and thread (or sewing machine), and a fun sweater. I found mine at a thrift store for two dollars. 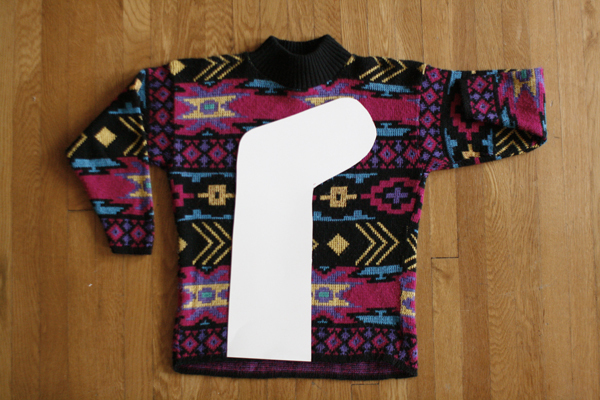 Kids can get involved with this project too, by picking out the sweater for their own stocking or even cutting out the stencil as directed below. On the posterboard, draw an outline of a stocking, or trace the outline of one you already have. Then, cut around out the shape you drew to use as a stencil. You will want to use the finished edge of the sweater as the top of your stocking, so be sure to orient the stencil so that the top of it is at the bottom of the sweater. 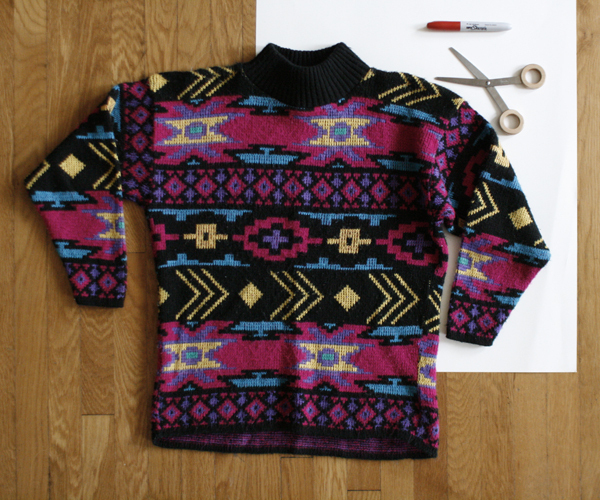 Then, using sharp scissors, carefully cut around the stencil through both layers of the sweater, leaving about 1/2 inch for a hem allowance. 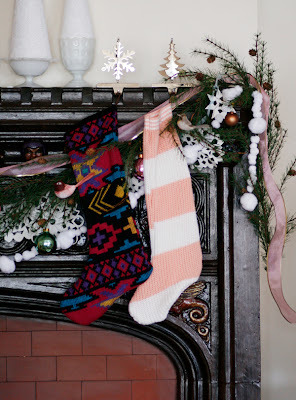 Now that the shape of your stocking is cut out, face the front sides together and stitch around the edges with a needle and thread or sewing machine. Just be careful not to stretch out the sweater as you're stitching, or it will end up wonky when you're finished. When I finished stitching the two sides together, I stitched a looped ribbon (you can use string too) to the inside edge for hanging purposes. The last thing you need to do is turn it right side out, and your stocking is complete! Now I have a wonderfully knit stocking, and I didn't even have to pick up a pair of knitting needles. If you like crafts, fashion, and home decor, be sure to stop by my blog and say hello! I'd love to meet you. Thanks for having me, Danielle! eeee! love! im going to make these for us! 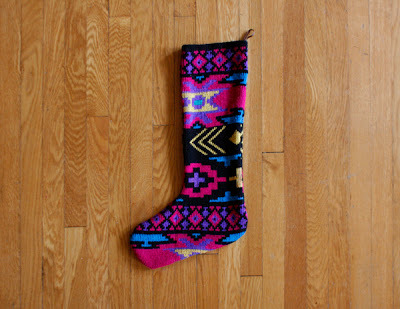 Very cute craft, and way more unique/adorable than your typical store bought stockings. Love it! This is too cute! Thanks for sharing it!! Thanks for the creative idea, I really enjoyed making it! I'm goin to give this a whirl RIGHT now.